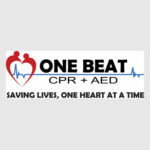 One Beat CPR is committed to providing the best training at affordable prices boasting the most reliable customer service in the industry. For over fifty years Premier Storage Systems has been defining a smarter and safer home and office by delivering functional and sophisticated storage solutions. Plast-O-Foam is a specialty and accessory plastic injection and compression molding manufacturer focused on short run production such as service and accessory parts for the automotive and other industries.